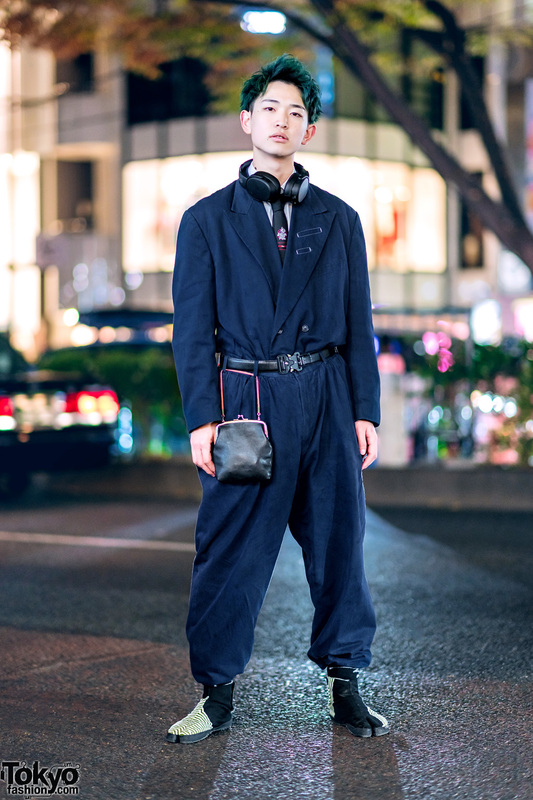 Japanese beauty school student sporting teal hair and men’s jumpsuit while out on the street in Harajuku. Harajuku teen in an all black streetwear style with t-shirt, long shorts, knee socks, platform shoes and accessories. 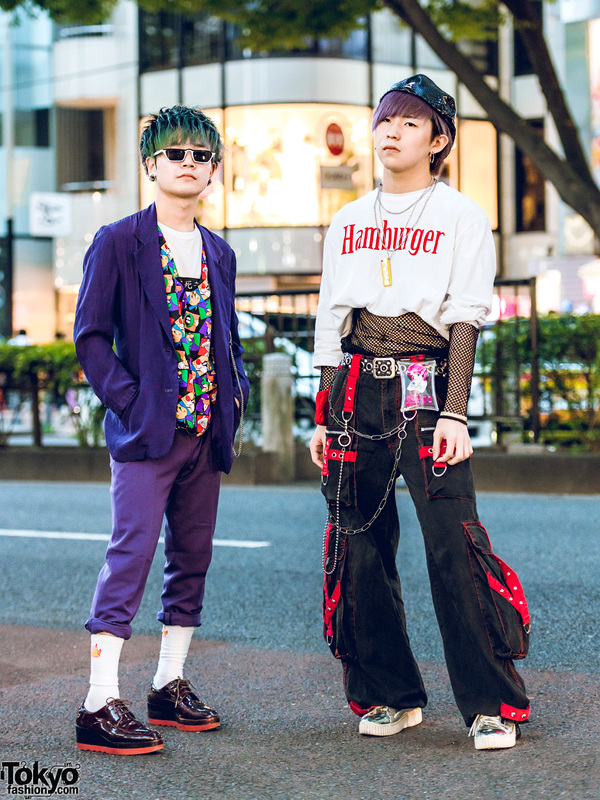 Japanese student with teal hair and vintage street style while out in Harajuku. P-Chan of Tempura Kidz wearing vintage pieces with mixed colors and prints.